Houck has been a leader in home & commercial construction in Southern California for over 25 years. We collaborate, we design, we build. We take your unique vision & make it a reality. Have you ever desired an exquisite remodel for your kitchen, bathroom or beautiful interior work for your home? D. Ferrigno Construction is your finest choice in quality home building & construction. We handle all home remodeling needs from bathroom remodels, garage conversions to new construction and everything in between! 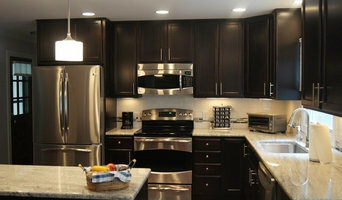 We're famous for our kitchen remodels and bathroom remodels. Our mission is to provide our customers with superior workmanship, quality results & excellent customer service – all at affordable prices. AM Builders Group is a full service design build interior remodeling firm that prides itself on providing its customers with exceptional design, workmanship and service. We treat every project with personal attention, whether it’s a kitchen remodel, bathroom remodel, patio or sunroom. We will offer you a personalized experience, guiding you through the process. MGS architecture is dedicated to excellence in modern residential architecture where innovation, collaboration, technical expertise and creative design are equally important. Levi Construction is a full service general contractor in Los Angeles, California specializing in residential & commercial interior/exterior remodeling projects & all related construction services. We are a Design-Build firm providing "One Stop Shopping" for all new construction and remodeling projects. We have been voted a top 500 remodeler in the USA 8 times. Contact us today for your project! R3 construction is dedicated to quality workmanship & making sure all of our clients are 100% satisfied. No job is too big or too small. We will do it & we will get it done right! LUX Builders & Remodeling is family owned and operated with over 14 years of experience. We truly care about our customers and have an in-house team of skilled workers to ensure the highest quality. We are a top-rated construction company with over 25 years of experience. Our team tailors each project to meet the unique needs of its clients while striving to surpass their expectations. As a full general contractor we specialize in residential home remodeling. We are dedicated to bringing you the highest form of customer satisfaction, along with the greatest value for your dollar. At Simcity Construction Inc., we pride ourselves on our identity as a small business with a commitment to integrity. We assure quality beyond the norm. At Etna Remodeling, we work all over Southern California to help you build out the home of your dreams. We work on home remodels, kitchen remodels, and additions to transform your home. We strive to maintain our reputation of design detail understanding. We take our cues from the Italian spirit of design and Beverly Hills latest innovations. 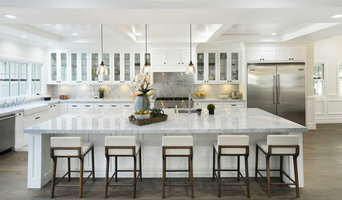 Award Winning Architect Serving Southern California - Best of Houzz! With 25+ years experience we are committed to your design aspirations. Every interior solution must function, inspire, and fit your budget.